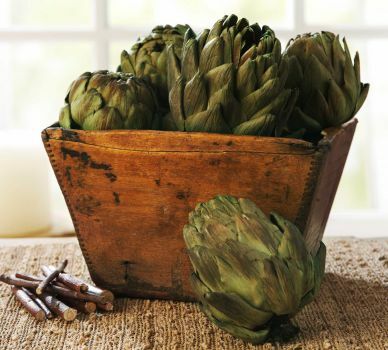 You may think parsley is a throwaway garnish, celery is a snack that delivers fewer calories than it takes to digest and artichokes are just meant for dips. But the real facts: Those three veggies, essentials of the Mediterranean Diet, are loaded with apigenin, an inflammation fighter that kills cancer cells. These foods can boost cancer treatments (some studies show it makes paclitaxel, used to treat certain breast cancers, more effective) or prevent cancer (breast, colon, skin, thyroid and leukemia) in the first place. There are 50 trillion to 75 trillion cells in the body, and inevitably some of them will become cancerous. But when your immune system can knock them out, you'll never know or care that they were there. Your diet is an important component of the ammunition you need for that battle, and apigenin is emerging as the toughest cancer fighter in the produce aisle. In addition to parsley, celery and artichokes, you'll find it in apples, cherries, grapes, chamomile tea and wine, and in herbs such as tarragon, cilantro, licorice, spearmint, basil and oregano. You will find artichoke and grapes in Juice Plus+ Vineyard Blend capsules; artichoke is also in our Juice Plus+ Complete whole-food drink mix. Parsley, apples and cherries are in Juice Plus+ Orchard & Garden Blend capsules and soft chewables.